Target is one of those stores that gives us many opportunities to save, so it’s best to know how! Learning how to shop at Target is crucial for making the most of your savings, so here are some couponing and shopping facts that will help you keep more of those dollars in your bank account. Let’s say that your ad says that you will get a $5 Target Gift Card for purchasing two Charmin 16 pks of bath tissue. As you see here, you can use coupons AND purchase more than one gift card offer in a single transaction. Target Store Coupons – Target offers Target store coupons both via coupon inserts on the weekend and as printables. These CAN be stacked with additional coupons for more savings. With the printables, make sure that the one you are looking at is a Target coupon and not a manufacturer’s coupon. They do list both on their site. 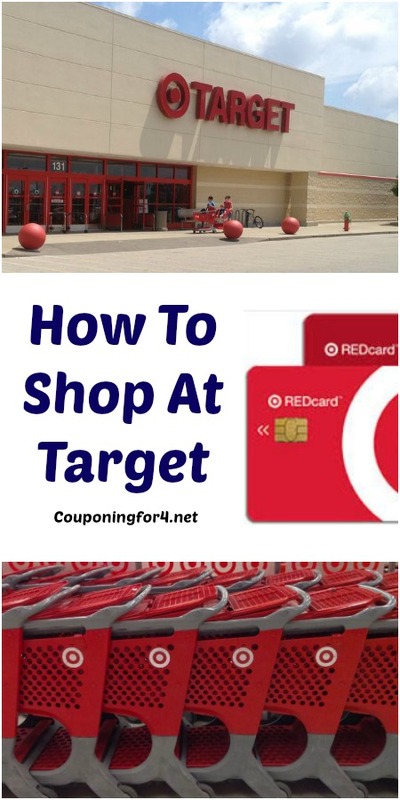 Target In-Ad Coupons – Target often releases coupons in their ad that you can stack with any of the other coupons available. These are often something like $10 off $40 in some product or other ($5 off $25, $10 off $30, etc), but can make for some fantastic savings! 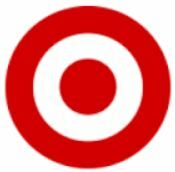 Target Cartwheel Coupons – Target Cartwheel coupons are savings coupons that will take a percentage off a specific item. To use these, head to the Cartwheel site and load the coupons that you want. Download the Cartwheel app to your phone and use your coupons at checkout to gather more savings. You’ll want to use this coupon before handing over any additional coupons or gift cards. Target Mobile Coupons – Target texts out additional coupons to your phone that you can stack with all of these other coupons for more savings! Sign up for those here. Target will price match – Target will allow you to price match products that you plan to purchase at Target (in-store) with prices you find on Target.com, Amazon.com, Walmart.com, BestBuy.com, ToysRUs.com, BabiesRUs.com or in a competitor’s local printed ad. Just show the cashier the better price via one of these stores (matching an online deal from your phone is best, but many will accept printed proof from a website) and the cashier will adjust your price. Target Red Card saves you more – The Target Red Card is a credit card that you can use at Target. It will give you 5% MORE off your purchases (in addition to all the savings above) and free shipping on orders from Target.com. A huge bonus if you’re a frequent Target shopper! Ready to shop?? Take a look at my Target deal section and let the savings begin!